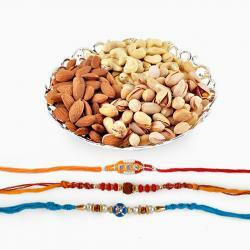 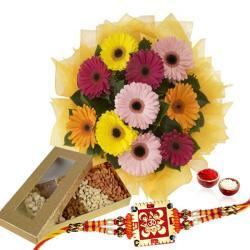 If you are finding something healthy to express your sense of care for your brothers to gift on this Raksha Bandhan then at Giftacrossindia you can buy Rakhi with Dry Fruits Hamper online at affordable price point. 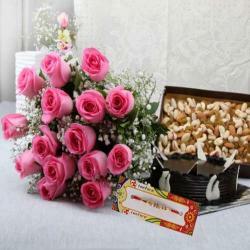 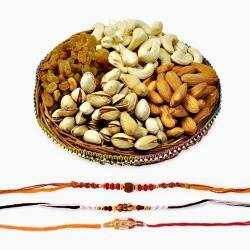 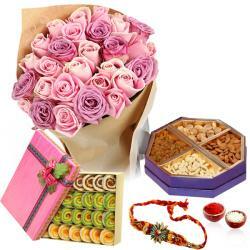 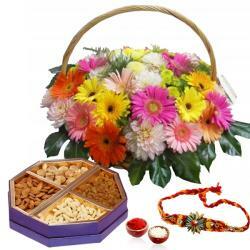 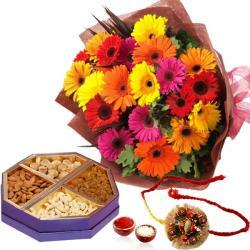 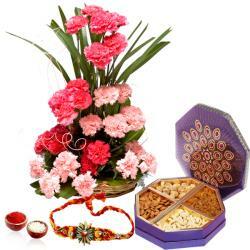 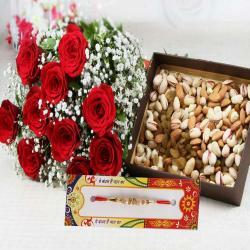 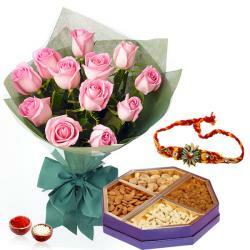 Giftacrossindia offers you the Best Quality Variety of Dry Fruits along with Designer Rakhi Threads. 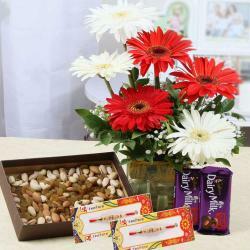 The healthiest combo is here. 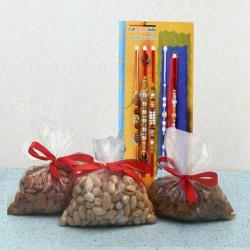 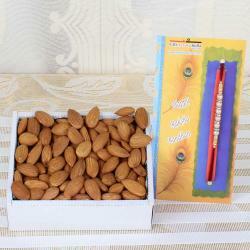 If you’re too concerned about your brother’s health gift him this pack of rakhi and dry fruits. 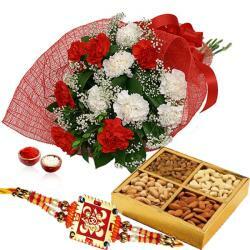 This is one of the respectful gifts one could ever receive and give. Few of us have the habit of having the nourishing dry fruits in the morning; this gives you a lot of energy to work and makes you work brisk throughout. 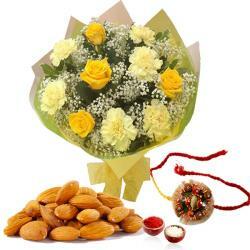 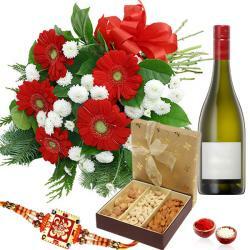 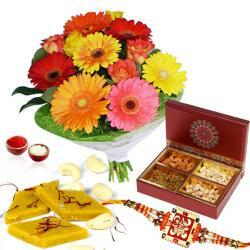 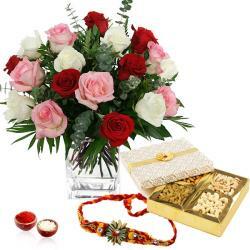 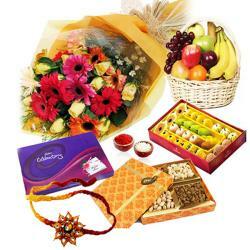 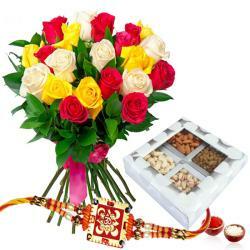 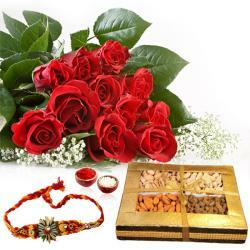 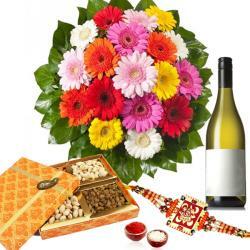 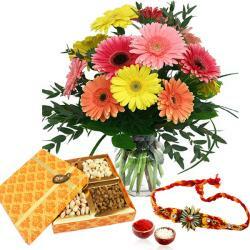 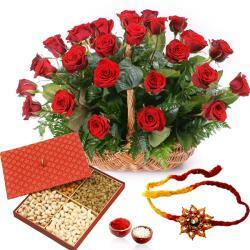 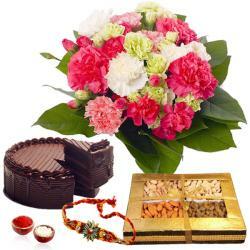 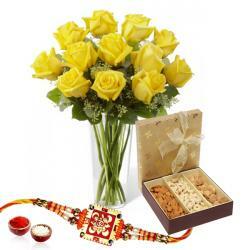 So keep yourself crisp and lively on the festival of RakshaBandhan by shopping online on Giftarossindia.com. 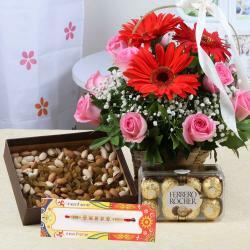 We are sure that this combo will make you tremendously happy. 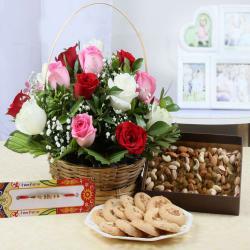 Every moment in your life is a memory. 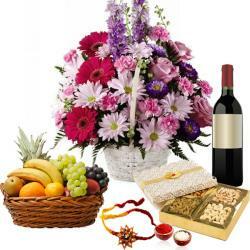 Life is not just in make money, the ultimate joy lies in cherishing the memories. 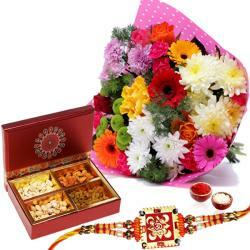 So come let us join hands with Giftacrossindia.com for this rakshabandhan and make the event a memorable one. 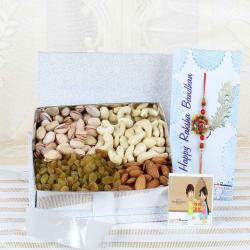 We offer a nutrious gift pack of rakhi and Dry Fruits like almond, cashew, raisins, walnut, apricot, walnut and a mixture of all. 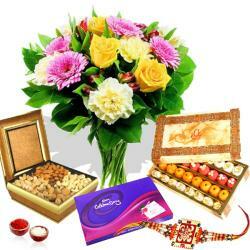 Handpick your favourite combo and we will deliver it for you. 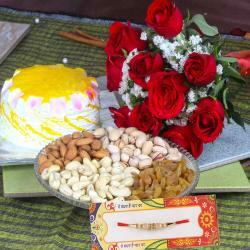 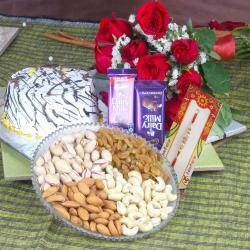 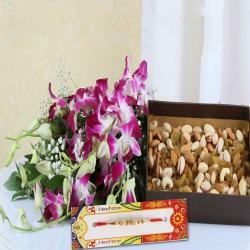 Have a nutty gooey rakhi with giftacrossindia.com.